The subtlest touch of silver will grace your earlobes whenever you wear this set of Tacori studs from the City Lights collection. 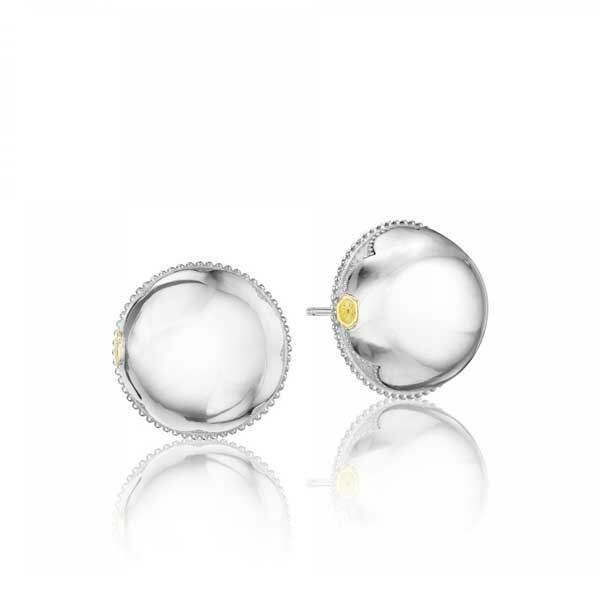 Highly polished sterling silver creates small button earrings that are engraved with a scalloped design along the bottom, and a diminutive Tacori seal in 18kt yellow gold rests at the side of each earring. A staple for every wardrobe, these Tacori earrings are perfect for any outfit.